The event, sponsored by Smithsonian magazine, honors 12 people across nine categories, including technology, performing arts, visual arts, natural sciences, physical sciences, education, history, social progress and youth achievement. We were excited to be asked by LanternEye Films to create the graphics for each category winner, like this one awarded to Fred Armisen and Bill Hader of “Documentary Now!” fame. Working closely with LanternEye director Paul La Blanc, we upgraded last year’s look with the addition of 3D wireframe models for each category and recipient. Watch the full set of videos on the Smithsonian Website, or check out out animations in this portfolio post. We were thrilled to be tapped for visual effects for Paul Dalio’s Touched With Fire, which premiered at SXSW this year and will be in theaters on February 12, 2016. The film stars Katie Holmes, Luke Kirby and Griffin Dunne in a story of two manic depressives who meet in a psychiatric hospital and begin a romance that brings out all of the beauty and horror of their condition. Spike Lee is the Executive Producer. Our work included immersive environmental projections for a key scene and landed Declan Zimmermann a credit as Visual Effect Supervisor on the picture. We can’t wait to check it out on the big screen. 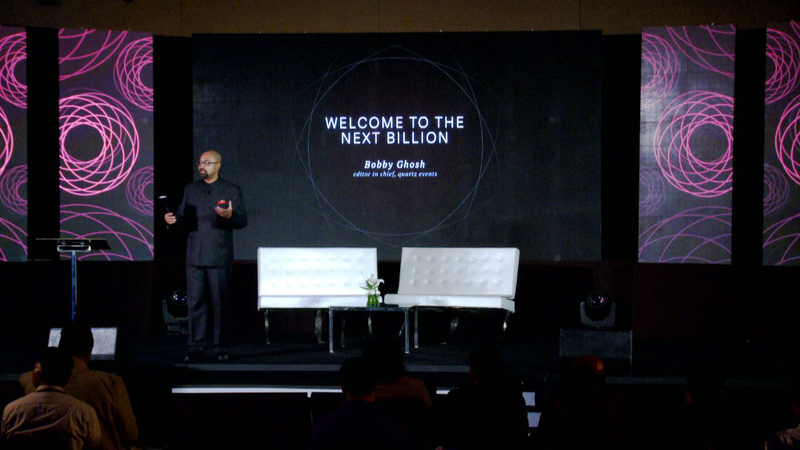 Continuing our relationship with Quartz Events, our animations were live on the stage at The Next Billion New Delhi. 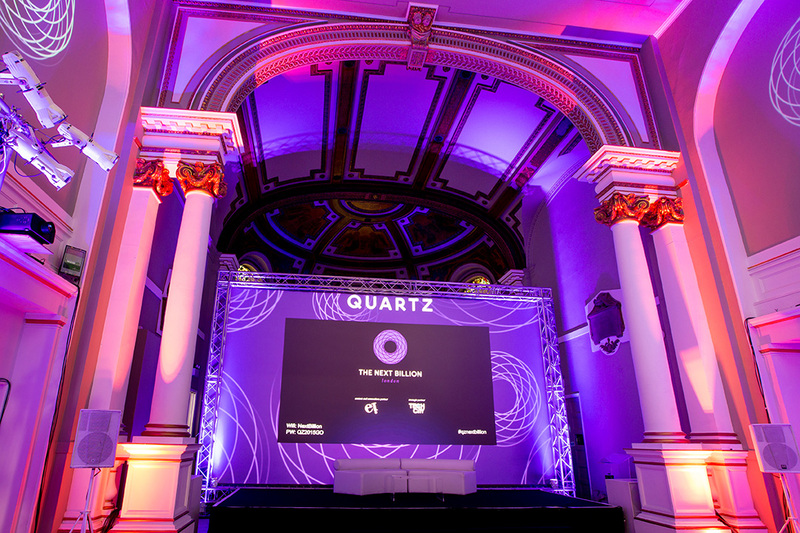 For the fourth Next Billion forum the team at Quartz wanted to take the event space to the next level with an immersive, branded environment that included animations in the main hall at One Marylebone in London. The Quartz creative team brought us on board to design and animate site-specific motion elements, which we were thrilled to find popping up on Twitter and Instagram. We love the way our animations worked with the lighting design by Full Circle and site graphics by Pureworks. The total effect was truly greater than the sum of the parts. The process involved tight collaboration with Associate Design Director Eric Trott (who designed all the Next Billion graphic elements) and Event Manager Maggee Dorsey (who worked closely with Eric on the design and look of the space). Event Producer Laurea de Ocampo was instrumental in facilitating seamless coordination with the tech team across the pond, ensuring all went down without a hitch on event day. The stage is set with our looping spirals framing the presentation slides. 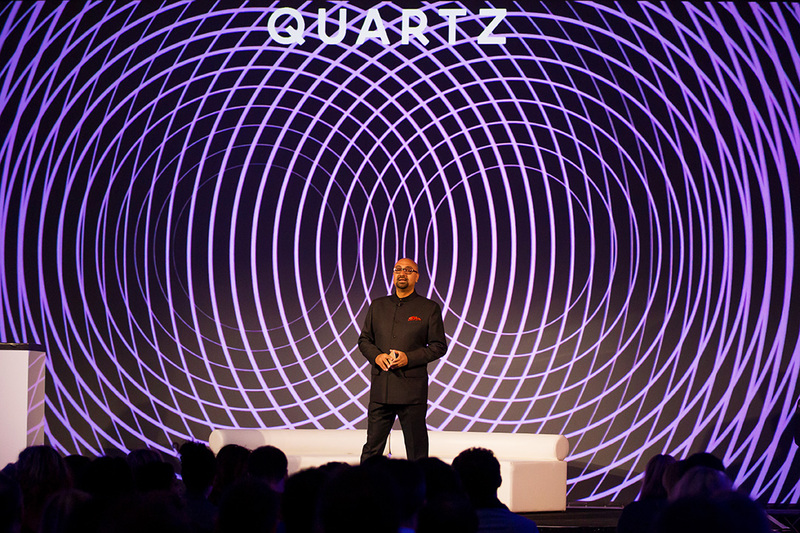 Quartz Editor in Chief Bobby Ghosh delivers the welcome in front of our full screen flourish animation. This is where we post the fun stuff. Like this one! Follow Perpetual Motion Graphics on Tumblr. 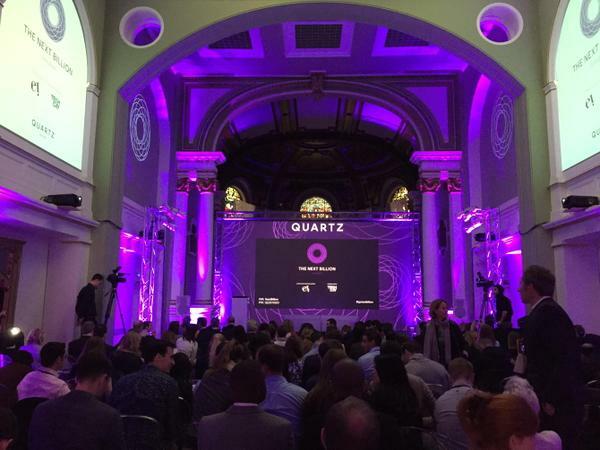 Quartz brought us on to design motion graphics to dress up the space for The Next Billion event today in London. Live feed and pictures here. We created animations based on the logo-mark for projection in the event space at One Marylebone including loops that played in the arches in the main hall, and that frame the presentation screen. It was a pleasure working with the top-notch creatives at Quartz. We’ll have more pictures of the event and perhaps some animations to show off shortly.